A few weeks ago I bought a garbage sack sized “grab bag” of vintage fabric at a thrift store. It was pretty awesome—full of all sorts of 1960 something goodness like the fabric I made this shirt out of. 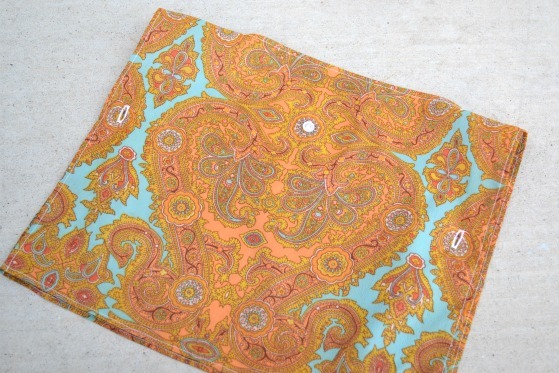 Now, I’m not really sure what kind of fabric this is…all I know is that it’s old, blousy, and I LOVE IT. #1. Measure your little girl from where you want her sleeves to end, up across her shoulder, behind her neck, down her other shoulder, and to the point where you want the sleeve to end. #2. Next measure from the base of the neck straight down to where you would like the shirt to end. #5. 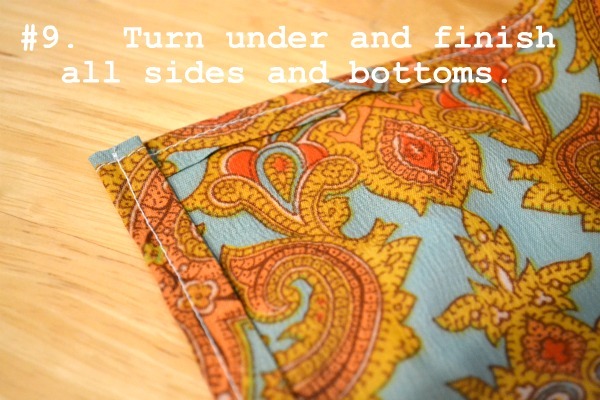 Top stitch along both sides of of the seam. #6. It’s time to make the head opening. I just used the width measurement of a scooped neck shirt of Grace’s which was 8 inches wide….it doesn’t need to be precise it just needs to be large enough to fit over the top of your little one’s head. 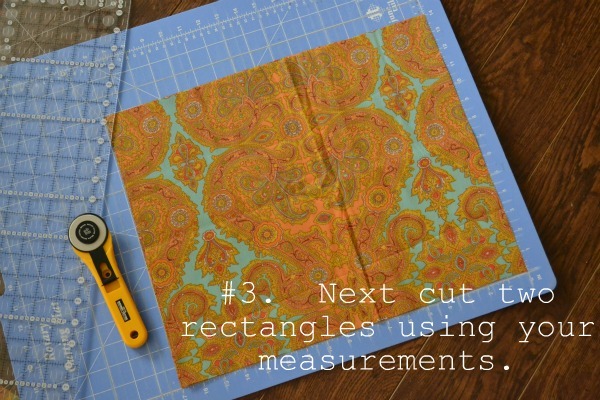 Once you figure the length center that length along the seam and mark with a pencil. #7. 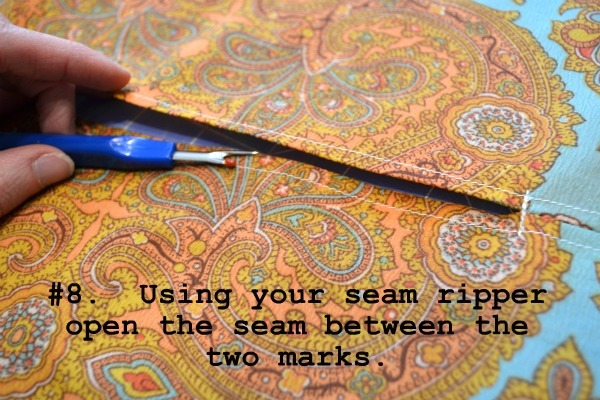 Sew across the seam line connecting the top stitching over each of the marks you just made. #10. Now it’s time to close the sides. This is done with just one single button on each side. To figure where to place the button holes I went 1/3 of the way down the shirt and marked it with a pin. (Then I had Grace put the shirt on just to double check.) The button holes will go on the front of the shirt and 1 inch away from the edge. #11. Add your buttons to the wrong side of the back side of your shirt. And you are all done. OOOOOOkay. So now that I’m done I think that I made this sound a whole lot more complicated than it is. 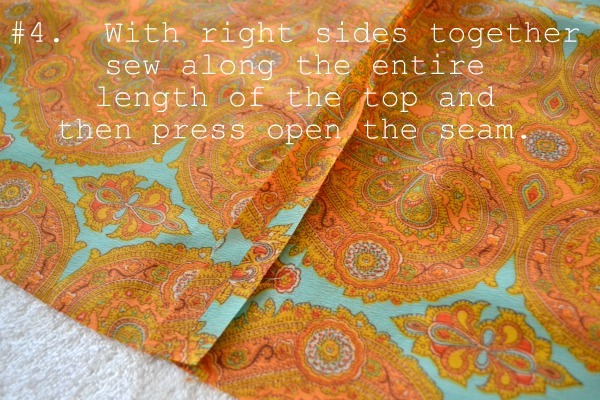 All you have to do is sew 2 rectangles together, pop open a seam, and then add two buttons. The end. Maybe I should have just written that in the beginning. And I promise you it will take less time for you to make one of these shirts than it did for you to read the instructions. Have a great Thursday and don’t forget to scroll down and enter the awesome giveaway! 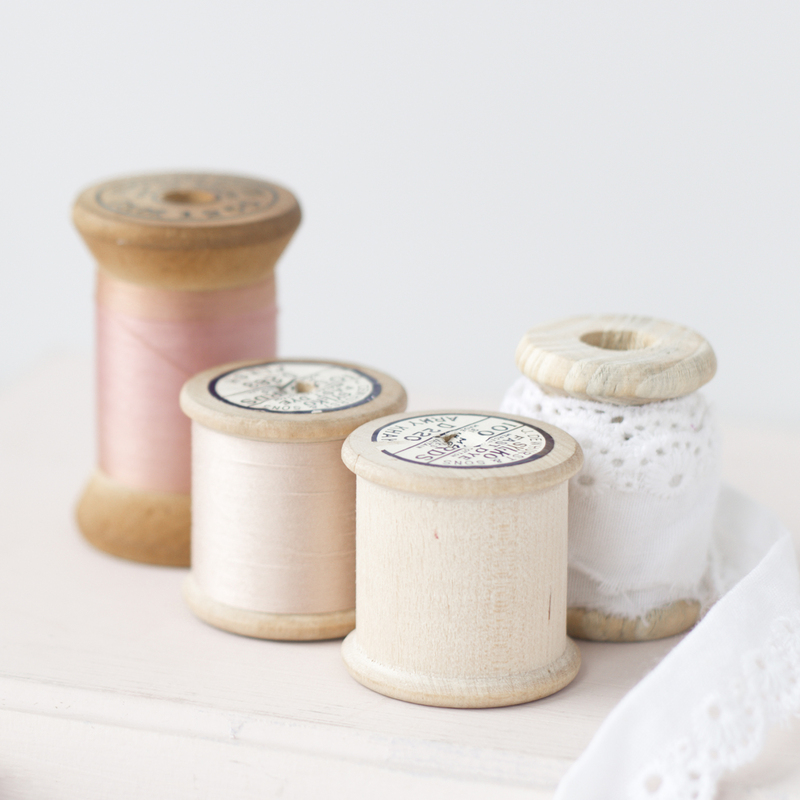 So cute, so simple! I love it! 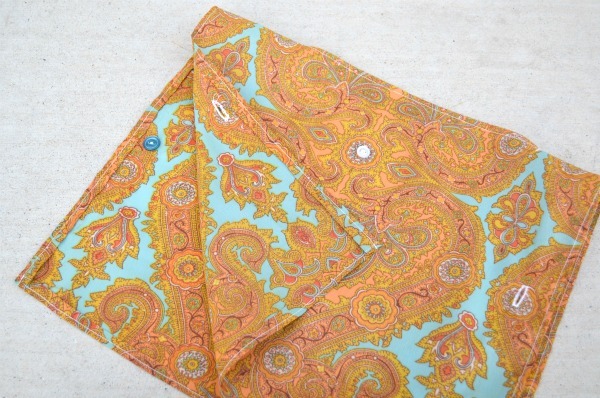 I usually don’t gravitate to orange, but I love that fabric !!! Oh so CUTE and Cozy Comfy looking… Well I just finished my Sewing Room… Well not FINISHED I still have a bit of organizing to do but the Brunt of it is done… 🙂 I feel Human again… LOL!!! have a great week!! 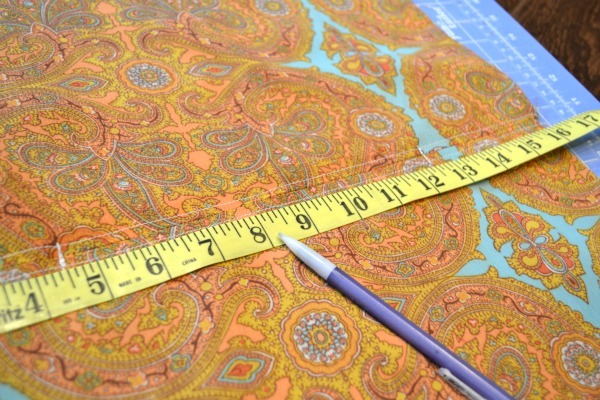 This fabric is wonderful! 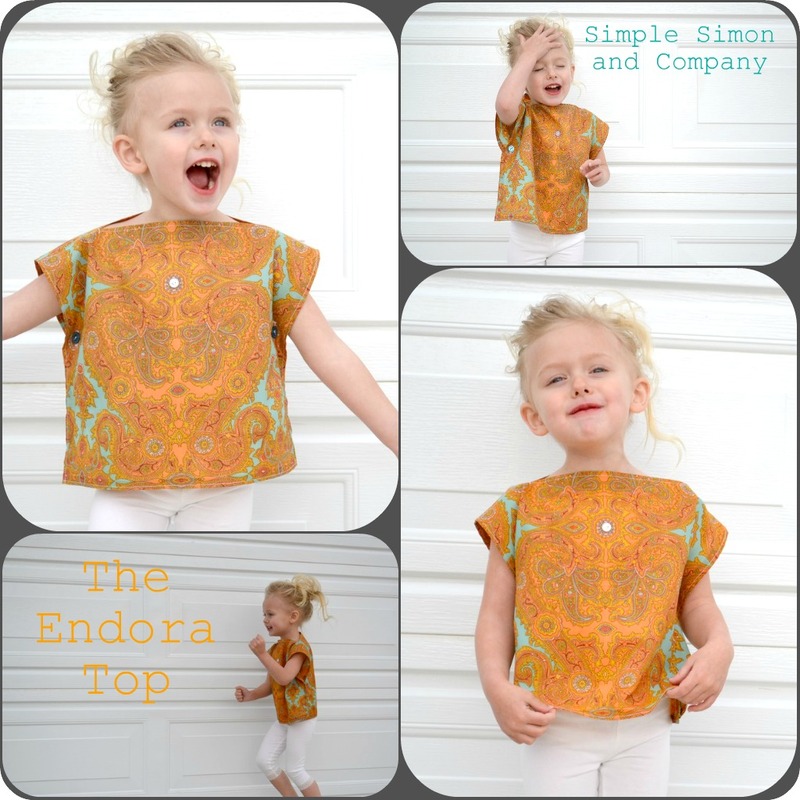 I’ve got to make my daughter one of these tops! Thanks for the tutorial. LOVE the top and Grace is so beautifully expressive! Truly a beautiful little girl. I’ve had in mind a top for myself like this very one that you made only I want to make mine using a vintage silk scarf that my mother-in-law gave me as the front panel. I’m just wondering why you chose to keep the sides open and have a button closure… is that the only way to get it over the torso? Thanks for all your wonderful creativity… so inspiring in every way. 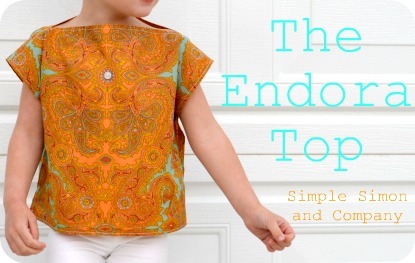 I love orange, and I love the top! p.s. its best to contact me at my email, wormlynn@hotmail.com! This is so cute! I want to make one for me! I love this! Looks so breezy and comfortable for warm summer days! Thanks for the tutorial, I’ll look forward to trying it! OOOHHHHH, I want one for me! OOOHHHH, I want one for me!!! I bet this would work using 2 bandanas! They come in really cute patterns and are only $1 at walmart. Plus they are probably the perfect size depending on the size of the child! I am gonna try it out for my little girl!